A couple of months back my agent asked if I was available for a job. I skim the brief: magazine, good: San Pellegrino bottles, cool: they like my freehand style, great. Sure, am available! Later that day I meet a friend for a round of pub quiz ( I loooove a pub quiz), tell her I am gonna be busy next week as I have another commission. Not sure actually, let me check. And there it is. Vogue. 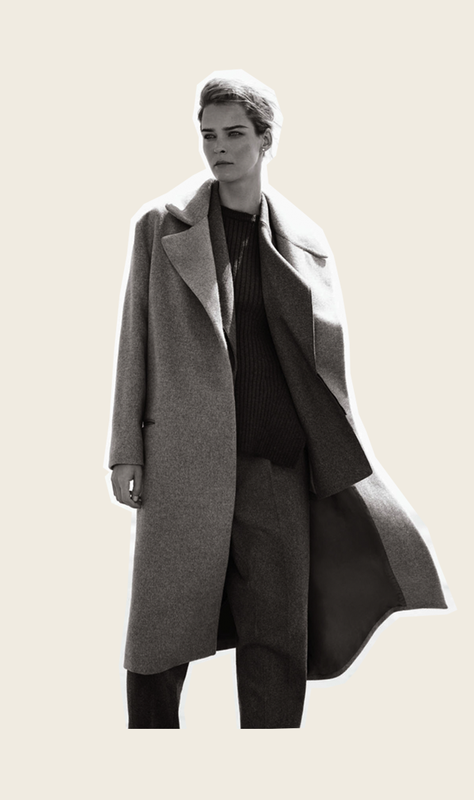 I have done my first Vogue. * It needs no words. am just saying there might be a lot of collages this month as my scanner is in storage so no new drawings are gonna make it into a computer. 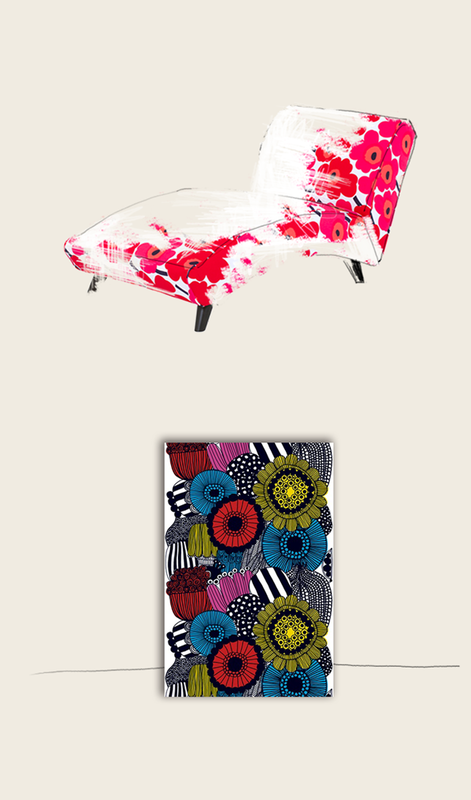 At the same time, by coincidence or reaction, I have fallen in love with a Marrimekko fabric chaise. I saw it in a shop on South Granville 2 months ago and it just stayed in my head. I am fighting an urge to spend almost my whole rent to buy it. It promises happiness to me. How cool would it be that the only two pieces of furniture i own in Canada are a drawing table and this flower print chaise. That actually feels good to me.